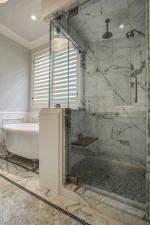 Looking for Bathroom Remodel Ideas? Look No Further. 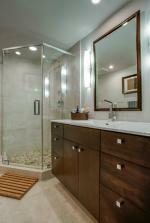 If you’re here, it means that you’ve been thinking about a bathroom remodel for a while. 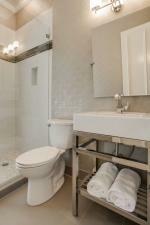 Maybe since you moved into your home, you’ve been thinking about how to take it from functional to fantastic—and a bathroom remodel is on the agenda. The good news is that you have found one of Texas’s most decorated designers—and someone who will take your bathroom remodel ideas and turn them into a dream come true. 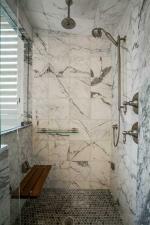 Take a look at the gallery and you will see that Doris Younger can create the bathroom remodeling project that you imagine. If your home and vision is more traditional, you might lean toward dark wood and plush furnishings or white cabinetry and more traditional granite surfaces. 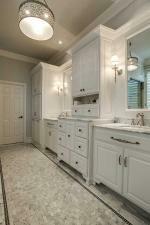 Perhaps you like the idea of a vanity with an ornate mirror or a large clawfoot tub. Whatever you like, Doris Younger will take your ideas and turn them into the most stunning, intelligent use of space with the most beautiful finishes possible. 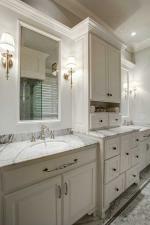 If your tastes run more to glass and chrome, with clean lines and simplicity, Doris Younger can provide that bathroom remodel for you as well. If you want a spa-like feel with a modern take on traditional finishes like vanities and showers, check out the Doris Younger gallery. You’ll see a number of modern interpretations of the sometimes boring bathroom, elevating it from functional to fabulous. Increase your resale value, improve your family’s daily life, and maximize your space and storage capacity with a Doris Younger Designs bathroom remodel. Studies have shown that a mid-range bathroom remodel project will be a wise and profitable investment, as it raises property values. Transform your boring master bath into a stunning master suite or your overworked hall bath into a luxurious and wisely designed showplace. 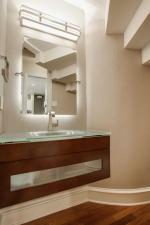 Doris Younger Designs can help you transform your bathroom remodel ideas into reality!